My name is Marta Gonzalez-Freire, I was born in the northwest of Spain (Galicia, 1983). Close to Portugal, so I speak also Portuguese. I have been riding bikes since I was a kid, although the sport I competed for more than 10 years was bodyboard. I was good!! but when I finished my 5 year degree in Sport Sciences in 2006, I had to move to Madrid to do my PhD in Exercise Physiology and my master, so I had to stop competing in bodyboard because there was no ocean!!! (In Galicia we have some of the best spots in Spain to surf!!). In Madrid, it is when I started to do triathlon, and compete, doing Ironman and Half Ironman. That were my favorite distances and I still love triathlon, and I still compete, but after a trip I did to Moab in 2016, and I tried mountain biking, my heart started to love mountain biking so much that it is the only thing I am doing since then!! And the only thing I do while I am in Baltimore, is planning trips to ride around US!! (Although Baltimore is good, we have a good place to ride, Patapsco State Park, that is our big treasure here, since it is located 25’ away from downtown Baltimore)…but I love travelling to the desert and ride there!! I have raced some mtb endurance races here in Baltimore and Virginia and I loved them. I truly would love to get better and compete in some endure and downhill races. 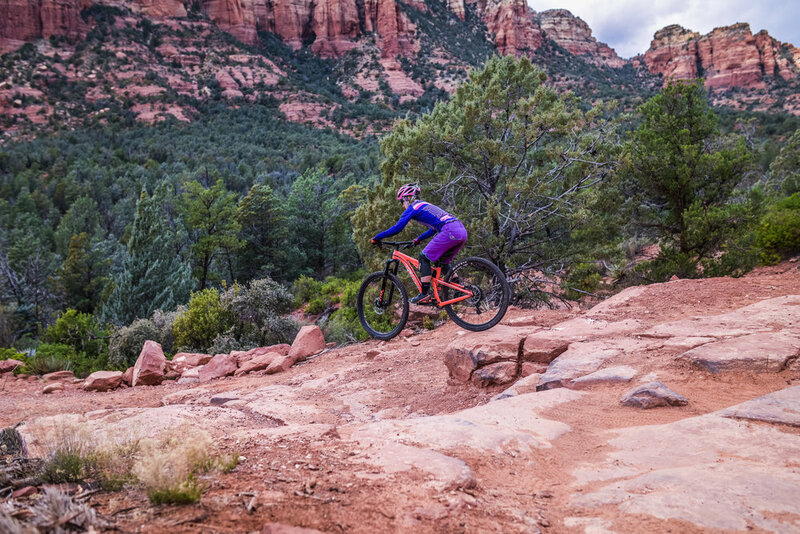 I met VIDA MTB group (Sarah, Rachel and Mia) in a trip to Moab last fall (October 2017), and I loved so much the philosophy of the group that I decided to apply to the ambassador program!! And here I am!! I am so excited about the VIDA MTB series 2018 season! Lots of adventures to come, I can’t wait!